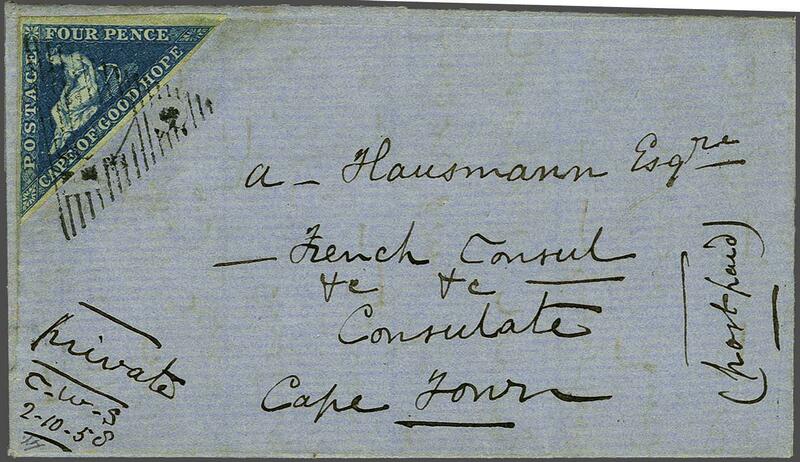 1855/63: 4 d. blue on white paper, a fine appearing used example imperceptibly touched at left, tied to 1858 cover addressed to the French Consul in Cape Town tied by CGH obliterator in black. 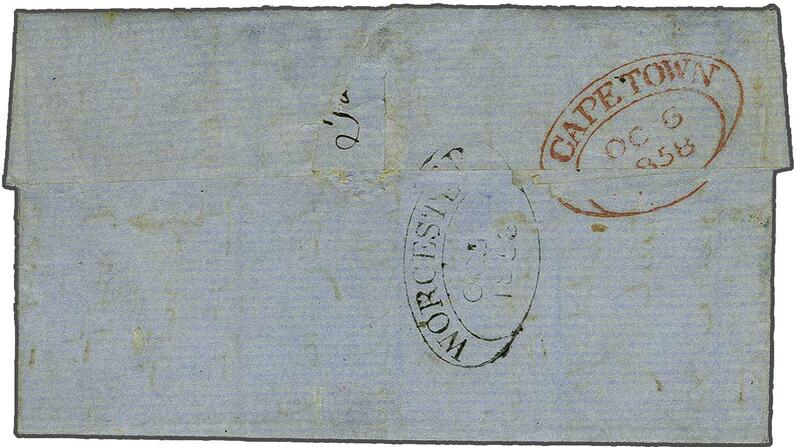 Reverse with oval WORCESTER despatch datestamp in black (Oct 5) and oval CAPE TOWN arrival in red (Oct 6). A fascinating letter, the writer asking for the address of the Sevres family in Beaupre, France as he was a family member - "my father was Thomas D. Serres, many years and up to his decease in England in 1825, marine painter to King's George II and IV and the Royal Family...", which was indeed true, a founder member of the Royal Academy, his son, John Thomas Serres (1759-1825) succeeded him as Marine Painter to George III.